Peniche is not a crazy sand barrels machine only, to the south of supertubos, in the village of Consolacao, a long righthand rocky point and a sandy left with a beginner friendly corner, create the perfect playground for our Surf Center. To the north of Peniche, a long scalloped bay gives to surfers plenty of possibilities in the various wind-waves combo swells, at the end to the bay another freak of nature, Baleal island. A small island connected to the mainland by a narrow sandy street, creates another handful of spot to keep the turists and surf community, well fed! 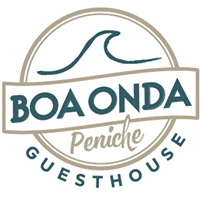 This is our closest surfspot, only a few steps away from Boa Onda Guesthouse. We are south of Peniche and home of 2 pointbreaks, the left starts on rocks but ends in sand. It is a powerful fast wave, that can only work once in a while, south or west swells but East or no wind is the key. 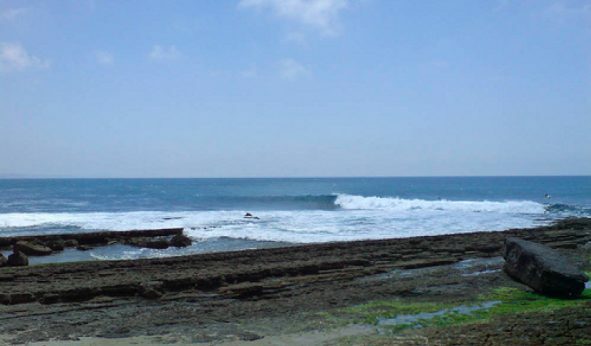 Next to it is also a nice beachbreak that is perfect for beginner/intermediate surfers. The right is a scenic long pointbreak that can be a fat longboard wave but can also be a serious big wave spot, as it works even on the biggest swell. Watch out, the wave packs lots of water and the entry/exit is tricky. The queen of the area, best beach-break of Portugal and probably Europe. Often referred as the European Pipeline, this wave is fast, powerful and always barreling.It can be the dream wave of your life, but be prepared to get some serious pounding. The wave is only a few meters from the shore and is also spectacular to viewers from the beach. The predominant wind from N and offshore or side-off. In October each year hosts the World Tour, and it is a sight not to be missed! 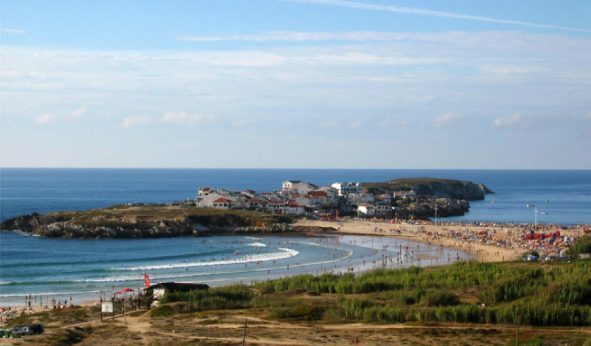 This lively little town is the southernmost spot of the Peniche area and hosts a huge amount of waves in its long beautiful sandy beach. The waves here are good for any level since they are mellower than the others nearby. Schools and tourists in the summer, but definitely a wave worth to be checked. 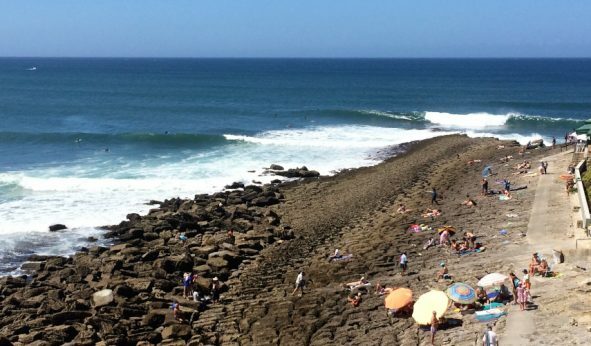 500 meters south of Consolacao, a spot surfed mainly by locals, give them respect and join that good righthand reef wave, that can be surfed from mid tide up. It is a good wave ideal for carvings. This is the undisputed big wave spot of the area, rocky bottom and heavy wave for the brave and skilled only. Into the bay a good a-frame wave on rocks will appear on the right wind and swell combo, these days, long performance walls on offer. The last corner of the Baleal Bay and you are almost in Peniche as the beach is flanked by city walls. It is ideal for the first steps on the board, or as a fallback in the event of massive swell from the south. 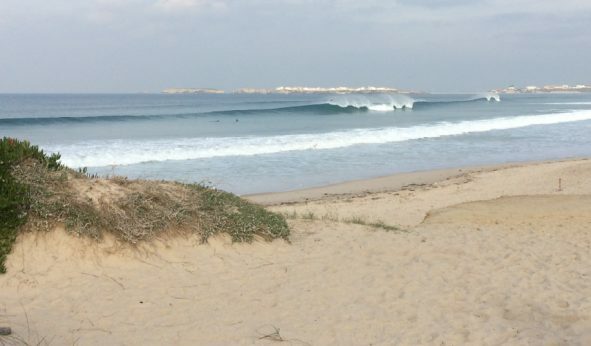 Towards Peniche, the bay bends a bit and receive less swell, this is the place to go in bigger western or south swell. Nice banks and cool crowds. Middle of the Baleal Bay gets the most of the swell around compared to the other westerly spots. The wave packs some power and it is offshore with SE to NE wind, when the conditions are on is a really quality wave, with barrels too. 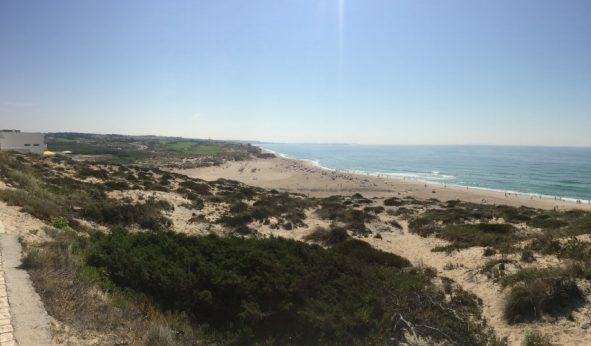 To the south side of the Baleal Island. Good sheltered spot with predominant northern swell, schools, longboarders and nice vibes. Can be a really good shortboard wave to when the conditions are on. 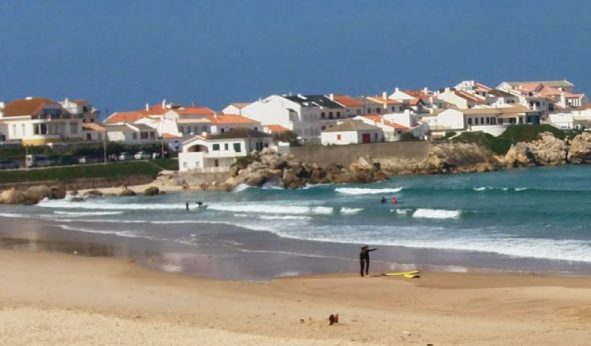 Nice easy beach break southside of Lagide, with a spectacular landscape provided by Baleal island. 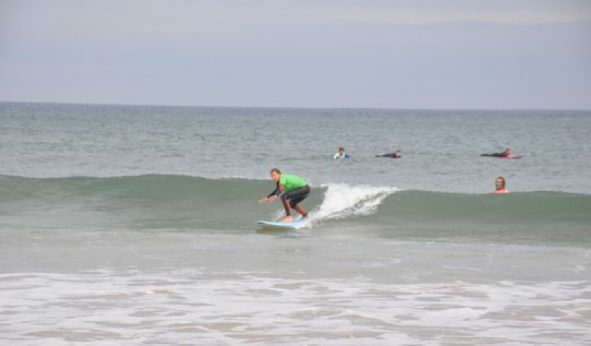 A wave that is beginner friendly and usually targeted by surfschools. 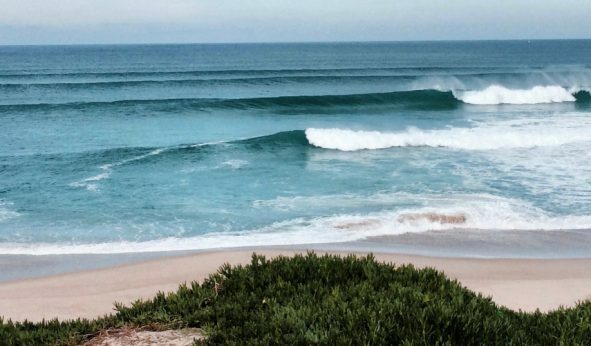 In the center beach town of Baleal this reef can be defined as a really long and manouverable lefthander, there’s also a righthander, sometimes really good, 300meters to the north. 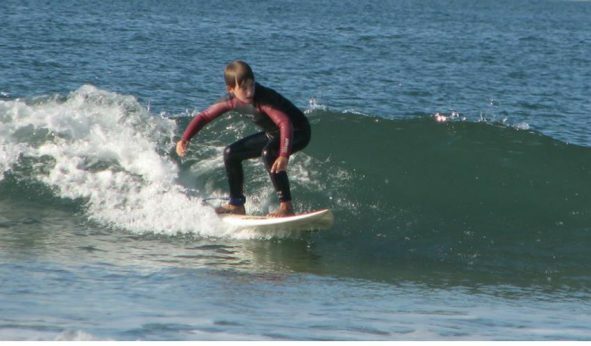 The wave can be mellow in small conditions or fat in high tide, but totally amazing with some size and mid tide. Watch out for the urchin covered rocks at low tide. SW to E is offshore. This beach is another swell magnet, the wave is usually messed up by wind and swell, so a good option in those small days or S to SW wind. The lefts are usually long with steep walls of good quality. 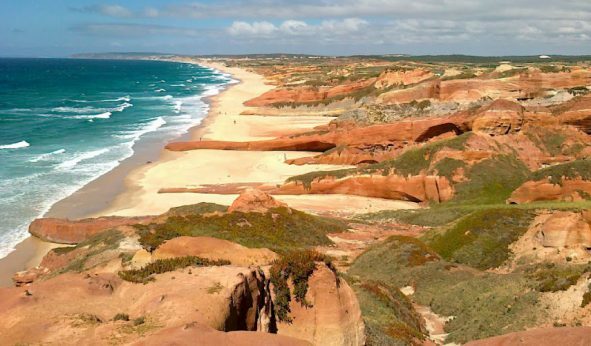 In the north coast of Peniche, following a dirt road up from Almagreira you will find this beautiful white sandy beach, that in a good day can serve up some incredible tubular waves. Swell magnet to be checked in small days and no N wind, mid tide the best!